For Manchester City Centre electoral ward, see City Centre (ward). Manchester city centre is the central business district of Manchester, England, within the boundaries of Trinity Way, Great Ancoats Street and Whitworth Street. The City Centre ward had a population of 17,861 at the 2011 census. Aerial view of Manchester city centre from the south, looking north. Manchester city centre evolved from the civilian vicus of the Roman fort of Mamucium, on a sandstone bluff near the confluence of the rivers Medlock and Irwell. This became the township of Manchester during the Middle Ages, and was the site of the Peterloo Massacre of 1819. Manchester was granted city status in 1853, after the Industrial Revolution, from which the city centre emerged as the global centre of the cotton trade which encouraged its "splendidly imposing commercial architecture" during the Victorian era, such as the Royal Exchange, the Corn Exchange, the Free Trade Hall, and the Great Northern Warehouse. After the decline of the cotton trade and the Manchester Blitz, the city centre suffered economic decline during the mid-20th century, but the CIS Tower ranked as the tallest building in the UK when completed in 1962. The city centre acts as the transport interchange for Greater Manchester and over 7 million people live within an hour's drive of it. The 1996 Manchester bombing provided the impetus for the redevelopment of the city centre and an upturn in retail, leisure, offices and urban living. The economy of the city centre is built primarily on retail and services, accounting for nearly 40% of Grade A city centre office space outside London. Manchester evolved from the civilian vicus associated with the Roman fort of Mamucium, which was established c. AD 79 on a sandstone bluff near the confluence of the rivers Medlock and Irwell, in a position defensible from the Brigantes. Once the Romans had abandoned Britain, the focus of settlement shifted to the confluence of the rivers Irwell and Irk. During the Dark Ages which followed – and persisted until the Norman Conquest – the settlement was in the territory of several different petty kingdoms. In the Middle Ages, what is now the city centre was the township of Manchester. Manchester Castle – a medieval fortification, probably taking the form of a ringwork – was located on a bluff where the rivers Irk and Irwell meet. The castle was first mentioned in 1184 and recorded in 1215 as belonging to the barons of Manchester, the Grelley family. It has been described as "of no political or military importance". The Grelleys replaced the castle with a fortified manor house, which in turn was replaced by a college of priests (founded in 1421). In 1547 the college was dissolved and the property acquired by the Earl of Derby and early in the reign of King Charles II it was sold to the governors who had been appointed in the will of Humphrey Chetham. By royal charter in 1665 Chetham's Hospital was established and this became Chetham's School of Music. Manchester city centre is the commercial and cultural hub for 2.8 million people in the Greater Manchester region and new developments are forthcoming. NOMA – The Co-op has embarked on one of its most challenging projects to date, as it aims to transform a 20-acre (81,000 m2) section of Manchester into a new retail, office and residential quarter, where its own new headquarters will be housed. The site will be branded "NOMA 53" in reference to "NOrth MAnchester" and the locations co-ordinates. The City Building will become the luxurious Hotel Indigo, which will include a Marco Pierre White restaurant and is set to open in autumn 2012. Two buildings on the corner of Corporation Street and Balloon Street to be converted into 106,000 sq ft (9,800 m2) of grade A office accommodation. Completion by second half of 2013. As of 2013, there are proposals to develop and extend the city centre northwards in an arc between Victoria and Piccadilly stations. Manchester city centre is part of the Manchester Central constituency, represented by Labour Co-op MP Lucy Powell. The City Centre ward was divided in 2018 between two new wards, Deansgate and Piccadilly. 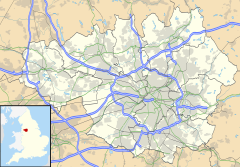 The city centre has variously been defined as those parts of the city within the Manchester Inner Ring Road, or else the entire area within Manchester's Inner Ring Road, thereby encompassing a part of the administratively separate City of Salford, and an area of Oxford Road to the south. Political and economic ties between the city centre and neighbouring Salford and Trafford have strengthened with the shift from town and district centres to metropolitan-level centres in England. Manchester city centre is the commercial heart of Greater Manchester and with adjoining parts of Salford and Trafford is defined as its Regional Centre for urban planning and public transport purposes. There is little order due to the manner in which the city rapidly developed during the Industrial Revolution nor much agreement on the differing areas in Manchester city centre. However many areas and streets in the city centre have a distinctive character with identifiable clusters of industrial warehouses, civic buildings and modern developments. Many of these distinctive areas are covered in 14 city centre conservation areas which are defined by Manchester City Council. These are essential ingredients to the City's sense of place, providing aesthetic quality and strong references to the City's past, which will always be a central part of Manchester's character. Development which fails to respond to the opportunities that this context affords should not be supported. Recent development, including Urbis and the Courts of Justice, has demonstrated how modern architecture of the highest standard can succeed alongside the established built fabric of the City Centre. Castlefield is an area in the extreme southwest between Deansgate and the River Irwell with the sites of the Roman fort and Liverpool Road Railway Station. It retains much of its industrial character and is the only Urban Heritage Park in the United Kingdom. and is marked by its mercantile 19th warehouses and adjoining wharfs which were used to transport goods from Manchester during the Manchester's industrial era. Today, Castlefield is quiet and noted for its waterside bars and pubs. Notable structures include Manchester Liverpool Road station which was the first inter-city railway station on the opening of the Liverpool and Manchester Railway in 1830. Today the station frontage remains and is Grade I listed, as is the adjoining 1830s warehouse. The structure now forms part of the Museum of Science and Industry (MOSI). For many years Castlefield was on a tentative list for UNESCO World Heritage Status for its industrial past – particularly in regards to the development of the canal as a mode of transportation and the railway. The Northern Quarter is in the northwest (south of Victoria Station and northeast of Piccadilly Gardens) and is known as a hub for alternate and bohemian culture in Manchester. Previously the area was the retail heart of the city centre but with the opening of the Manchester Arndale in the 1970s patronage gradually dwindled and vacant buildings were commonplace. In the late 1980s the area was renamed as the Northern Quarter in the hope that the area would be reincarnated from the ground up. Following the boom of the late 90s and early 2000s the area has become a popular destination for shops, bars, restaurants and nightclub – many of which have an independent ethos. The opening of the Manchester Arndale in 1975 shifted the retail focus towards the area bounded by Market Street, Corporation Street, Withy Grove and High Street. Despite the Arndale's unpopularity with many critics, it has been described as an outstandingly successful shopping centre by visitor numbers and spending. Today the Arndale attracts 41 million visitors a year and is the largest city centre shopping centre in the United Kingdom. The area has been extensively redeveloped after the IRA bomb of 1996, contains Manchester Cathedral, Shambles Square, Exchange Square, Cathedral Gardens as well as shopping streets Market Street and King Street. Since the bomb, Selfridges, Marks & Spencer and NEXT have opened dedicated large stores in the area. Although not all shops are strictly in the retail area with many on Deansgate and King Street – a short walk from the area. Spinningfields is the designated business district in the city centre. Spinningfields is an area in the west adjoining the middle part of Deansgate and the main business district of the city centre. The proposal to create a designated central business district originated in 1997 when Allied London purchased a number of buildings around the John Rylands Library. Allied London executive Mike Ingall was convinced of site's regeneration potential and Manchester City Council was keen to redevelop the city centre after the 1996 Manchester bombing. The development, named from a narrow street which ran westwards from Deansgate, is bounded by Bridge Street to the north, Quay Street to the south, Deansgate to the east, and the River Irwell to the west. The area is noted for glazed, modern buildings – many of which are offices. In 2010, Spinningfields accounted for 35% of the city centre prime office space with 44 commercial organisation employing nearly 20,000 people. Notable buildings in the area include 1 The Avenue, 3 Hardman Street and the Civil Justice Centre – short-listed for the Stirling Prize and noted as a landmark building for its distinctive cantilevers. Future buildings include the Cotton Building and construction commenced in summer 2014 and will be completed by 2016. Construction on a new 90 metre office tower, 1 Spinningfields could also commence in 2015 after a securing a pre-let in late 2014. Aside from offices, Spinningfields was home to a number of high end retail units such as Armani and Mulberry. However, with the main retail district being on the opposite side of the city centre, these units struggled. In recent years the district has cultivated a far more successful image in the food and drink offering with a number of popular restaurants and bars in the area. Footfall, particularly in the evening after work hours, has increased, and revenue from retail and leisure in Spinningfields has risen from £10 million in 2008 to £50 million in 2014. Piccadilly is the transport interchange of the city centre with rail, tram and bus services all within a five-minute walk. The area is typically busy with pedestrians commuting to and from the city centre. The area is dominated by Piccadilly Gardens. It is the largest public square in the centre which was redeveloped in the early 2000s but not to a universally positive reception. For over 150 years Manchester Royal Infirmary was located on the site but closed in 1914. A few years after closure the hospital was demolished and public space was created with a landscaped garden set into the ground – hence the name. The area has a dedicated tram station and bus station which has over 20 stands. Most of the stands are located on the south-west side of the square with the rest on the north side. Peter's Fields, now known as St Peter's Square sits at the top of Oxford Road and Peter Street and extends east towards Princess Street. It is noted for its purpose as a civic area and includes important buildings and monuments such as Central Library, Midland Hotel, YMCA Building, Manchester Town Hall and Town Hall Extension – all of which are listed. It is described by Manchester City Council as "perhaps the greatest collective accolade to Manchester's original modern heritage". The Square is famous for the Peterloo Massacre in 1819 when cavalry charged into a crowd of 60,000–80,000 that had gathered to demand the reform of parliamentary representation on what was previously fields – hence the name Peter's Fields. A monument to commemorate the nationally importantly event in the struggle for suffrage is expected to be commissioned for 2019 to mark the 200th anniversary of the massacre. In recent years, the square has been redeveloped with new high-rise office buildings, One St Peter's Square and Two St Peter's Square with further buildings approved for the derelict Odeon site and London Scottish House adjacent to the Midland Hotel. As part of the redevelopment, the Cenotaph was relocated outside Manchester Town Hall in 2014 and St Peter's Square tram stop will be redeveloped with an additional platform and new configuration in 2016. Chinatown is an area to the south of Piccadilly Gardens with many oriental restaurants and other facilities of a far eastern character. It is the second largest Chinatown in the United Kingdom and the third largest in Europe. The first settlers to arrive in the city came in the early 20th century; according to the BBC, "Many arrived alone and were engaged in what was seen as the traditional trade of laundries." Manchester's first Chinese restaurant, Ping Hong, opened on Mosley Street in 1948, on the eve of a Chinese immigration wave that would commence during the 1950s. Manchester did not have a significant Chinese population, reaching only about 2,000. However, after World War II, there were severe labour shortages, and in response, the government passed the British Nationality Act 1948, which allowed easier access into the country. Additionally, Hong Kong's rapid urbanisation meant that many farmers and traditional residents' homes were being destroyed by the urban sprawl, so many decided to migrate. The area's beginnings are rooted in the restaurant business, as many Chinese restaurants surfaced soon after the immigration boom. By the 1970s other Chinese businesses began to emerge, such as medicine shops, Chinese supermarkets, as well as financial and legal services, all serving the employees of the expanding number of Chinese restaurants in the area. The area has retained a far eastern character ever since and in 1987 a paifang archway was installed to as a gift to the Chinese community and to reflect the far eastern heritage of the area. Canal Street, often known as the Gay Village, is a part of the centre east of Portland Street and west of Whitworth Street through which runs the Rochdale Canal; it contains many bars, clubs and other facilities – many of which are focused towards the gay community. The area has long been associated with the gay community with links going back to the early 20th century when homosexuality was still illegal. During the industrial years the area was a red light district during the evening but with the gradual collapse of the cotton industry urban decay set in. At the 2001 UK census, the political ward of "Central", which covers an area of 2.14 square miles (5.54 km2), had a population of 11,689 with a population density of 5,460 inhabitants per square mile (2,108/km2). While this was lower than the population density for the whole city (8,798 inhabitants per square mile (3,397/km2)), the proportion of land dedicated to domestic buildings was lower in the ward than in the whole city (6.7% compared to 8.0%). There was a female-to-male ratio of 100 to 113, much higher than the 100 to 95 ratio for all England. Of those over 16 years old, 65.7% were single (never married), 13.7% married, and 8.7% divorced; this was significantly different from the national figures of 30.2% single, 43.5% married, and 8.2% divorced. The ward's 6,188 households included 61.1% one-person, 8.6% married couples living together, 9.0% were co-habiting couples, and 12.4% single parents with their children; compared to national figures, there was a high proportion of single person households, and a low proportion of married couples living together. Of those aged 16–74, 30.5% had no academic qualifications, lower than the figure for the City of Manchester (34.0%) but slightly above that of the whole of England (28.9%). The ward had a significantly higher percentage of adults with a diploma or degree than the city or England as a whole. Of the ward's residents aged 16–74, 26.3% had an educational qualification such as first degree, higher degree, qualified teacher status, qualified medical doctor, qualified dentist, qualified nurse, midwife, or health visitor, compared to 21.4% in Manchester and 19.9% nationwide. Manchester City Centre skyline in 2009. Deansgate and Market Street are the centre's principal retail streets and King Street (with high-class shops) and St Ann's Square are known for their specialist fashion and other shops. There is also a large indoor shopping mall called the Manchester Arndale Centre. Manchester city centre has several large department stores including Marks and Spencer and Debenhams on Market Street, House of Fraser on Deansgate, Harvey Nichols on New Cathedral Street and Selfridges in Exchange Square. There are many leisure facilities in the city centre including the Printworks, a large facility containing a cinema (including an IMAX screen), numerous bars, clubs and restaurants and also Manchester's first Hard Rock Cafe. The Northern Quarter, centred on Oldham Street, is known for its Bohemian atmosphere and independent shops and cafes. The landscaping of the city centre has provided several public spaces including the newly developed Piccadilly Gardens, which incorporates fountains, green spaces, a concrete wall, and a Metrolink station (it has not been improved by the construction of an office block to the east). Exchange Square is located near Urbis, formerly an exhibition centre focusing on city life but closed and re-opened in mid-2011 as the National Football Museum. Both Piccadilly and Exchange Square are used for screening public events. Two of the city centre's oldest buildings, The Old Wellington Inn and Sinclair's Oyster Bar, were dismantled, moved 300 yards and re-erected in 1999 to create the new Shambles Square adjacent to Manchester Cathedral. There are a great variety of restaurants in the city centre including a number owned by Paul Heathcote the chef. There is also a good stock of hotels in the city centre which include the Midland, Jarvis Piccadilly and Ramada Renaissance. The Royal Exchange Building which is home to the Royal Exchange theatre. Manchester city centre has many nightclubs, many of which follow in the footsteps of the Haçienda nightclub which has now closed; the site has been redeveloped as a housing complex. There is a gay village around the Canal Street area in the east of the city centre, which plays host to an annual Gay Pride Festival, and a large Chinatown with numerous far eastern style restaurants. The area to the west which is bisected by Deansgate and crossed by Peter Street is also well-provided with bars and some clubs (e.g. The Moon under Water and Ampersand). Rafters was a nightclub located in St James's Buildings. A number of bands played concerts at Rafters in the 1970s and 1980s. Rafters closed in 1983. In its final years the DJ was Mike Shaft who appeared on Piccadilly Radio with Takin' Care of Business. After that the club was renamed as Jilly's which existed to 1993, after which the club was called MusicBox. The city centre also has many bars, mostly located in the Northern Quarter, regarded by some as the central district's creative hub. The quarter is well-provided with bars of various sizes; these include TV 21, Bar Fringe, the cocktail bar Apotheca and Trof. Live music venues may also be found here, including the Night & Day Cafe, MOHO Live and jazz bar Matt & Phred's. There are two major theatres in the city centre, the Palace Theatre (opened 1891) and the Manchester Opera House (opened 1912). In 2008, plans emerged to redevelop the Palace Theatre as a northern base for the Royal Opera and Royal Ballet however these plans were shelved and both theatres were purchased by the Ambassador Theatre Group for £90m. In recent years the Group have launched the 'Manchester Gets It First' campaign and a number of high-profile musicals have premiered in Manchester such as Ghost in 2011. The Royal Exchange, a nationally known theatre company which specialising in new productions of the classics and is known for its 'the round' layout. The Cornerhouse, at the top of Oxford Road and opposite the Palace, is a venue for the visual arts and contains several cinemas which show mainly art house films. A new Cornerhouse and Library Theatre building will open at First Street in 2015 providing a larger home for both companies. Manchester Art Gallery, opened in 1824, welcomes over half a million visitors every year and is one of the largest galleries outside London. The Manchester Museum of Science and Industry in Castlefield explores the industrial heritage of the United Kingdom with emphasis on Manchester. The People's History Museum explores the social history of Manchester and the United Kingdom. Many galleries and museum exist outside the city centre in Manchester and Greater Manchester such as the Whitworth Art Gallery, Imperial War Museum North and The Lowry. Construction continues on Victoria station and 2CC as a tram departs the station in 2014. Manchester City Centre has five railway stations – four of which are in the Manchester station group: Piccadilly, Victoria, Oxford Road and Deansgate. Manchester Piccadilly station is the largest station in the City with 14 platforms plus 2 Metrolink tram platforms, located on the southeast side of the city centre not far from Piccadilly Gardens, the Gay Village, and the Northern Quarter. The main access is from Piccadilly, which continues towards Ardwick as London Road. Manchester Victoria station is the main terminus for services from the north and west of Greater Manchester and includes both rail and Metrolink platforms. Victoria is located in the northwest of the city centre near the northern end of Deansgate, Corporation Street and Exchange Square and is connected to the Manchester Arena. It underwent a £44m renovation, completed in August 2015. Manchester Oxford Road station serves the southern corridor of the city centre, where both the University of Manchester and Manchester Metropolitan University are located, as well as the Central Manchester Hospitals, Palace Theatre, and Cornerhouse. Deansgate station is located in the southwest, between Deansgate locks and nearby Castlefield at the southern end of Deansgate (which is over a mile long). It is also a short walk away from Beetham Tower, as well as the Great Northern complex, housing an AMC Cinema, bars and leisure attractions. It is connected via a link bridge to Deansgate-Castlefield tram stop. Salford Central station is in Salford, about 100 m west of the River Irwell, and serves the Spinningfields, Bridge Street, Chapel Street, Trinity Way and central Deansgate districts. Metrolink is the light rail tram service that operates in Central Manchester. The services are usually 6 mins in the peak and 12 mins off-peak to most destinations, all of which are within Greater Manchester. As of 2014 there are seven lines operating, connecting the city centre with termini at Altrincham, Ashton-under-Lyne, Bury, East Didsbury, Eccles, Manchester Airport, MediaCityUK, Rochdale. A new line through the city centre is being constructed. Market Street – located in one of the main shopping streets and close the Arndale Centre, serving passengers on the Altrincham, Bury, East Didsbury and Rochdale lines. Piccadilly – located beneath the main concourse, with services to Altrincham, Ashton-under-Lyne, Bury, Eccles and MediaCityUK as well as city centre stations/stops. Piccadilly Gardens – located in the busiest bus/tram interchange in the city centre with services to Altrincham, Ashton-under-Lyne, Bury, Eccles and MediaCityUK as well as other city stations including Victoria and Piccadilly. Shudehill – an interchange station similar to Piccadilly Gardens located near the Northern Quarter, The Printworks and Shudehill bus station. Services to Altrincham, Bury, East Didsbury and Rochdale operate from this interchange. St Peter's Square – it serves the Altrincham, Bury, Eccles, East Didsbury, MediaCityUK and Rochdale lines. It is located close to the central library, town hall and Oxford Street. It will serve Manchester Airport upon completion of the second city crossing. Victoria – services to Altrincham, Bury, East Didsbury and Rochdale currently operate from this station, however once expansion of the network is complete it will see a new service to Manchester Airport. High Street – closed in 1998, unidirectional platform closed after extension of Market Street stop. Mosley Street – closed in 2013, unidirectional. To facilitate the Metrolink expansion and increased tram frequency an alternative route through the city centre is required. The 2CC runs from Victoria station to St Peter's Square via Exchange Square, Corporation Street, Cross Street and Princess Street. Utility works on re-routing gas and water supplies began in January 2014 and are expected to last for over a year. The works have impacted heavily on parts of the city centre with streets and pavements being closed off and awkward diversions introduced. There are also 2 major bus interchanges located in the city centre; Manchester Piccadilly bus station and Shudehill Interchange which all serve local bus services to areas in the 10 Greater Manchester boroughs, as well as some from the surrounding counties of Cheshire Lancashire Yorkshire and Derbyshire. Piccadilly Gardens bus station provides services mainly to the south and east of Greater Manchester and parts of Cheshire. Most services are operated by First Greater Manchester and Stagecoach Manchester. Shudehill Interchange provides services mainly to the north and west of Greater Manchester and parts of Lancashire. Most services are operated by First. Chorlton Street coach station provides long distance coach services operated by National Express to cities across Great Britain. Shudehill was opened so the bus system was directional. ^ "Manchester City Centre Office Market Report" (PDF). GVA Grimley. Spring 2008. Archived from the original (PDF) on 21 December 2008. Retrieved 22 June 2013. ^ "Visit Manchester – Manchester city centre map" (PDF). visitmanchester.com. Archived from the original (PDF) on 19 October 2015. Retrieved 23 November 2014. ^ a b Gregory 2007, pp. 1–3. ^ a b "Industrial heritage in the Manchester region". International Congress of History of Science, Technology and Medicine. 2013. Archived from the original on 26 June 2013. Retrieved 22 June 2013. ^ Kellie 2010, p. 26. ^ "Green light for high living". BBC News. 27 October 2003. Retrieved 22 June 2013. ^ Kellie 2010, pp. 56–61. ^ a b Ravetz 2000, p. 50. ^ Kellie 2010, pp. 142, 153. ^ "The rush to turn offices into flats". BBC News. 19 December 2013. Retrieved 21 February 2014. ^ "Manchester and Leeds: Could they rival London?". BBC News. 23 June 2014. Retrieved 23 November 2014. ^ "Rate of take-up on Manchester city centre offices doubles as economy reaches pre-recession point". mancunianmatters.co.uk. 23 November 2014. ^ Hylton (2003), pp. 3, 8. ^ Hylton (2003), p. 7. ^ Newman (2006), p. 141. ^ Nevell (2008), p. 41. ^ Kidd (1996), p. 13. ^ Nevell (2008), p. 42. ^ McKechnie (1915), pp. 54–55. ^ Jupp, Adam (7 July 2011). "Exciting times for the Co-op – it even flourishes in hard times". Manchester Evening News. M.E.N. Media. ^ Williams, Jennifer (20 June 2013). "The future's northern: Booming city looks north with plan for 55,000 new homes". Manchester Evening News. Retrieved 21 June 2013. ^ "Lucy Powell MP". parliament.uk. UK Parliament. Retrieved 24 March 2017. ^ "City Centre Map" (PDF). 2012. Archived from the original (PDF) on 19 October 2015. Retrieved 13 June 2013. ^ a b Kellie 2010, pp. 4–5, 243. ^ a b c Manchester City Council (11 July 2012). "Manchester's Local Development Framework: Core Strategy Development Plan Document" (PDF). manchester.gov.uk. Retrieved 16 June 2013. Part of the City Centre is in Salford and both the Regional Centre and Inner Areas cover areas of Manchester, Salford and Trafford... Manchester City Centre is defined as the area inside the Inner Relief Route and extends to the south to encompass the Oxford Road Corridor. The City Centre also extends to Chapel Street, within the administrative boundary of Salford City Council. ^ "City Centre Policy Approach 4". Manchester Consult. Retrieved 23 August 2014. ^ "UK – On track for protection". BBC News. 21 August 1998. Retrieved 16 August 2014. ^ "Surge Of New Northern Quarter Bars: What's The Problem?". Manchester Confidential. 17 April 2014. Archived from the original on 19 August 2014. Retrieved 16 August 2014. ^ "Spinningfields whirlwind". Manchester Evening News. 18 September 2007. Retrieved 13 May 2012. ^ "Visit Manchester – City Centre Map" (PDF). Visit Manchester.com. Archived from the original (PDF) on 17 October 2006. Retrieved 9 April 2010. ^ "Report for Resolution – Spinningfields" (PDF). Manchester City Council. 10 March 2010. p. 6. Retrieved 23 August 2014. ^ "How Manchester has turned into a tale of two shopping cities". Manchester Evening News. 3 April 2013. Archived from the original on 22 December 2014. Retrieved 23 August 2014. ^ "Restaurants Drive Growth Of Manchester's Spinningfields Retail District". eatoutmagazine.co.uk. 10 June 2014. Archived from the original on 26 August 2014. Retrieved 23 August 2014. ^ "Manchester's Civic Quarter". Corridor Manchester. Archived from the original on 29 November 2014. Retrieved 21 November 2014. ^ "Peterloo Massacre memorial planned for Manchester city centre". Manchester Evening News. 17 August 2013. Retrieved 23 November 2014. ^ "Civic Quarter – Manchester Central Regeneration Framework". Manchester City Council. Archived from the original on 29 November 2014. Retrieved 21 November 2014. ^ Christiansen, Flemming (2003). Chinatown, Europe: An Exploration of Overseas Chinese Identity in the 1990s. Routledge. p. 202. ISBN 0-7007-1072-8. ^ a b "History of Manchester's Chinatown". BBC. 14 January 2004. Retrieved 26 July 2011. ^ a b c Sandy Tsin. "History of Manchester Chinatown". Manchester China Archive. Archived from the original on 28 June 2010. Retrieved 2 July 2010. ^ "Central (ward): Ethnic group". Office for National Statistics. Retrieved 3 May 2009. ^ "Manchester (local authority): Ethnic group". Office for National Statistics. Retrieved 3 May 2009. ^ "Central (ward): Key figures for physical environment". Office for National Statistics. Retrieved 3 May 2009. ^ a b c "Central (ward): Key statistics". Office for National Statistics. Retrieved 3 May 2009. ^ "Central (ward): Marital status". Office for National Statistics. Retrieved 3 May 2009. ^ "Central (ward): Household composition". Office for National Statistics. Retrieved 3 May 2009. ^ "Our history". Jilly's Rockworld – home of Manchester's rock & alternative community. Retrieved 23 February 2010. ^ "Should the Manchester Palace Theatre be turned into an opera house?". The Guardian. 5 October 2009. Retrieved 9 August 2014. ^ "Manchester's Palace Theatre set to become northern base for the Royal Opera House". The Stage. 27 October 2008. Retrieved 9 August 2014. ^ "Ambassador Theatre Group Launches Manchester Gets it First". broadwayworld. 16 May 2011. Retrieved 9 August 2014. ^ "Art has a new Home: £25m Manchester centre closes the culture gap with London". The Independent. 10 August 2014. Retrieved 16 August 2014. ^ "Manchester Art Gallery – About Us". manchesterartgalleries.org. Retrieved 23 August 2014. ^ "Business owners fear bodies on Cross Street are bad for trade – and could cast a Feng Shui shadow". Manchester Evening News. 22 August 2014. Retrieved 23 August 2014. Kidd, Alan (1996) . Manchester. Keele: Keele University Press. ISBN 1-85331-028-X. Atkins, Philip (1976). Guide Across Manchester. Manchester: Civic Trust for the North West. ISBN 0-901347-29-9. Bradshaw, L. D. (1985). Origins of Street Names in the City of Manchester. Radcliffe: Neil Richardson. ISBN 0-907511-87-2.